Is it summer yet? Many teacher friends are almost done. Some of my teacher friends are all the way around the world and the cold weather is approaching! Where ever you are...whatever is slowing your kiddos down from that 100% effort that you need them to still have. As I watch my kindergarten through fifth graders come into the science room, I can see their focus dwindling, so to help them get excited for learning again, I have an instant cure....STEM! 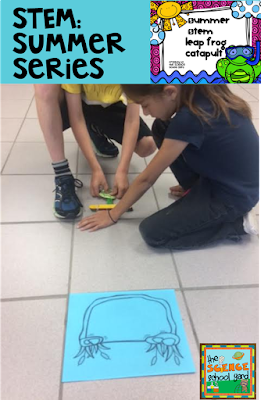 Third Graders learned about Food Chains knowing that they were going to be able to create a frog catapult to connect how frogs protect themselves from predators! 1. I am still needing to test because I have over 3 weeks left to go, they don't seem to care to study or do their best..STEM! What I do is share that whoever passes the quiz or test, can participate in a STEM activity while the others work with me on reteaching and studying the concepts that they are not comprehending. This allows for individual instruction, and it also encourages kids that love to do STEM activities to be motivated to do their best on the the test so that they can in fact work on a STEM project! 2. Find ways to add hands-on STEM activities that are theme based and that are tailored to your concept you are teaching. I am doing an insect unit with my first graders so we then engineer a new insect out of free and inexpensive supplies. It engages them and I can also assess if they understand the parts of an insect...head, thorax, and abdomen. STEM Reward...What can we do this summer? In fifth grade we are working on a levers and pulleys unit for FOSS. 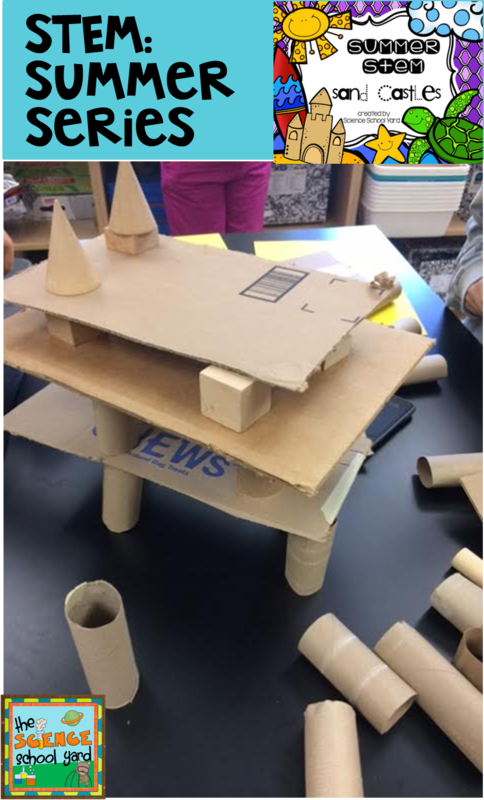 To add some STEM excitement, we are integrating a simple machines unit along with a cardboard arcade. Each group makes a cardboard game to present and play at our annual STEAM night! They have to integrate two simple machines into their design. 3. Our students work so hard. They are tested to the gills. They are burning out faster and faster each year. You can see definite changes in behavior if you do not stay on top of it. 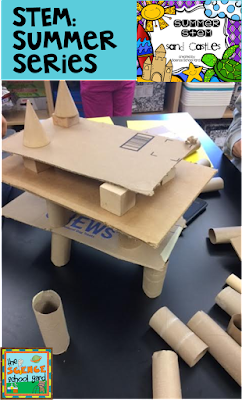 STEM activities are great rewards for a job well done....an end of the year fun activity...or an end of the unit surprise. To get you started...here is a quick end of the year STEM activity which is part of my Energy Unit! Taking the kids outside to build a solar oven is a lot of fun! Many of us are on summer break....while others are still working with kiddos. 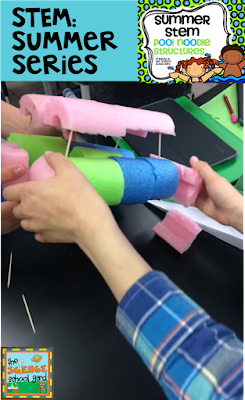 STEM is a great way to not only continue to teach learners about science BIG IDEAS, but knowing that they can build something that connects them to a topic gets them listening and staying focused. Knowing that after the anchor chart...after the picture book connection....after a lesson they can create...it is truly a perfect motivator. I am teaching summer STEM starting Monday... I am not worried about student burn out...why? Because STEM activities that are hands-on and rewarding for both learner and teacher! 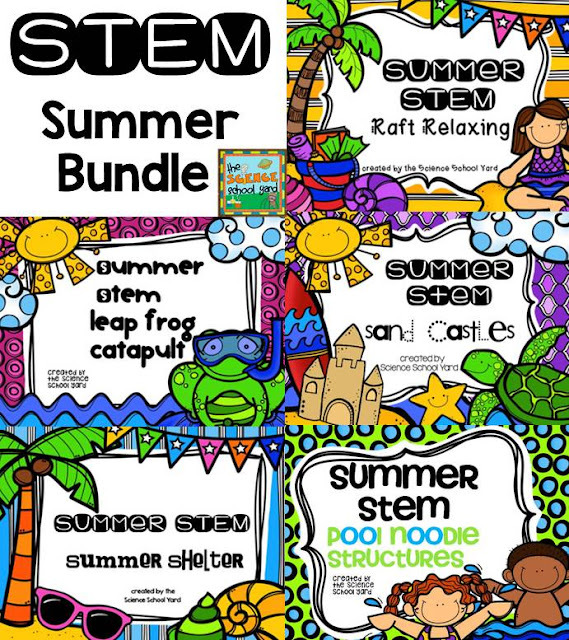 Check out my summer STEM series bundle for fun all summer long! Find the Summer STEM Series HERE!